The recent Adidas reveal inspired me to start up a new series. Its been some time since I last did a concept. So, knocking off some ring rust in the first few. Promoted the previous third while making some minor changes. Kept the current colors. Added third that is something I can see the team bringing in the near future. This exact look, with numbers bumped to the shoulders, is what I had expected from adidas but sadly not what we received. It's a great look overall. Good job! looks great. excited to see another series by you. 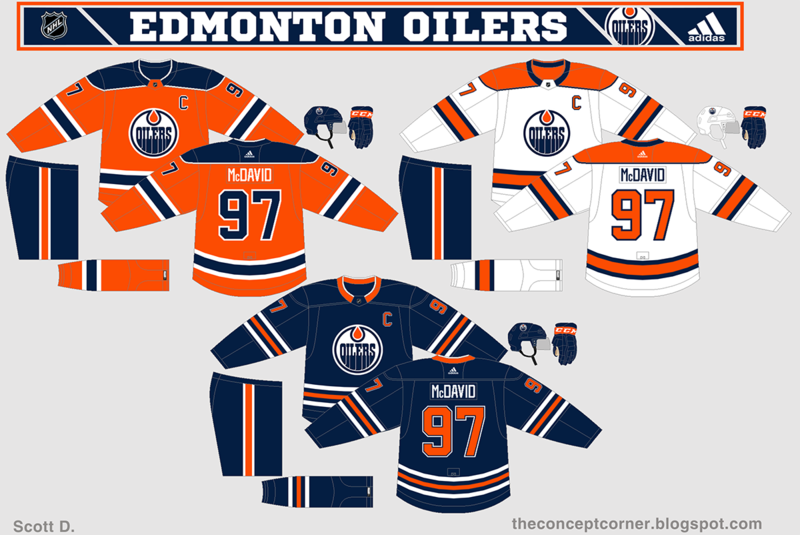 Easily the best Oilers concept I've seen. Carolina took a step forward but I felt they over did the black on the home. I decided to scale back on it and create more continuity between the home and road. Sublimated warning flag pattern remains and is on more than just the home. Cleaned up their logo which I have done in the past. Empty shoulders, Carolina looks better with them in my opinion. Brought back a black third which takes cues from the previous third. I like that you made the warning flag pattern subtler (except for the black alt, which I'm okay with). For whatever reason it seems overdone to me as-is. Tampa Bay didn't change with the Adidas takeover. For them I took inspiration from their inaugural design. Black is featured more (which is something I think they should do). Updated logo, which I have used in the past. Overall I think this gives a Lightning a much better look. The Wild's reveal was okay. I was pretty indifferent to what they revealed. For Minnesota I decided to play off what they reveal and provide more unison between their set. 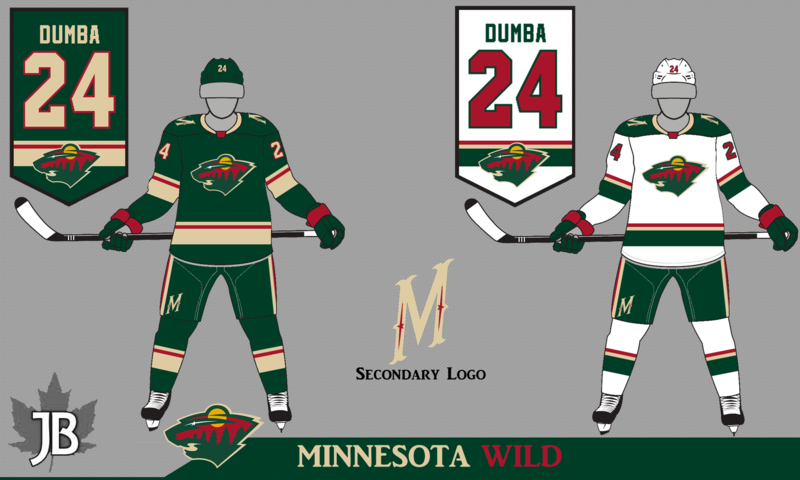 Added a state of Minnesota shoulder patch which is inspired by the bear head logo. Added a red alternate, merged together elements from their previous red jersey and their Stadium Series look. @Lycan38 Great minds think alike I see, haha. The Flames reveal went as I expected. For them I went with a retro inspired set. While keeping black in their color scheme. Logo and stripes colors match (thought it looked better that way). Overall, I'm happy with how the set turned out. I'm liking all of these Lycan. I'm still not sure how I feel about the navy for Edmonton. I find that navy looks very dull on a white uni. ...Looking forward to the rest. Did a quick update to the Flames. Added a black collar and red yoke to the road. BUF: Again, perfect. The logo tweaks don't look like much, but they subtly improve it. I also love the simplified B-sword on the shoulders. This is how they should look (minus the blue cuffs on the away, they add nothing and will be hidden by gloves of the same colour). CAR: You just perfected (am I saying that too often?) 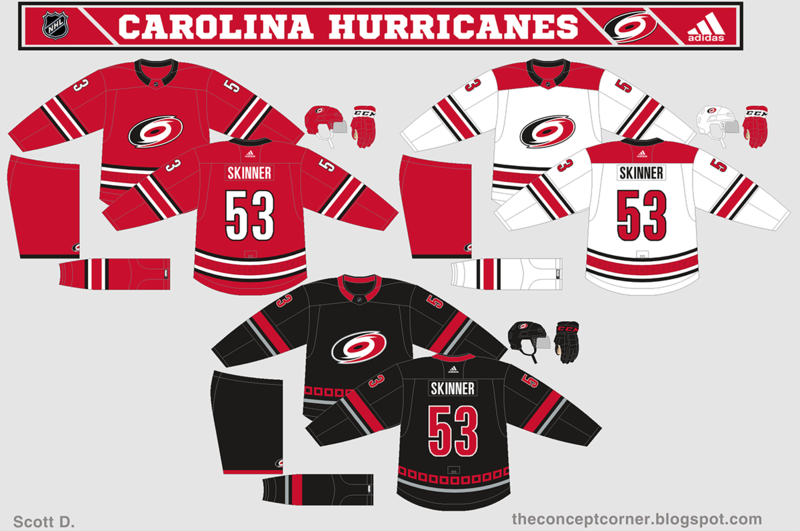 the near-perfect uniform Carolina unveiled, fixing the away, the home, and adding an alternate that fixes their previous alternate while calling back to the primaries you made. The logo, design-wise is much better. It makes the white space more apparent, but I'm not used to it, maybe that's why I don't really like it. TBL: That, sir, is once again perfection, but unlike the others in the series, it's not obvious perfection. You perfected the logo, by mixing eras and adding something fans are calling for. The jerseys compliment it well, modern but historic. Well done. 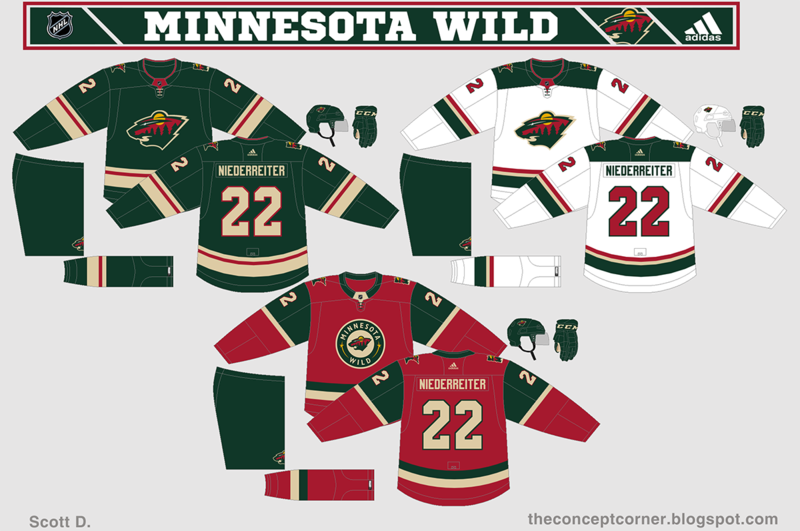 MIN: The Wild can go many directions with their uniforms, you chose one and executed it to perfection. That shoulder patch you made looks great! They can also go in many directions for their alternate, but I think you tried to combine one too many. The striping needs to match. CGY: Your update looks much better. The away uniform was looking too black, but you improved it. One thing that's bugging me: I like the look of the two-tone numbers, but they don't match the logo. Either add another outline or take away the logo's outline. Great series, looking forward to more! Thanks for the feedback. I may tweak some of the earlier concepts (unsure at this point). New Jersey took a step back with their reveal. For them I decided to go with something based off their early look while maintaining some elements from their best look. Something like this is what I was sort of hoping for with their reveal. That Flames set is a thing of beauty. Why the real team can't get a clue and do something half as good is beyond comprehension. Jersey and Minnesota look great too. Dallas predictably didn't change with the Adidas change over. So, for them I wanted to do something that I had in mind for some time. 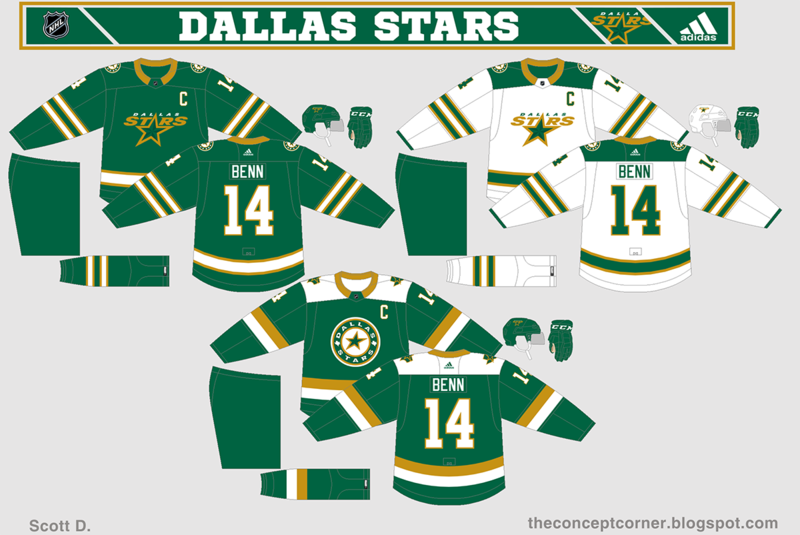 Whole set is North Stars inspired. 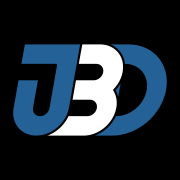 Brought back the old logo, making some minor changes to it. Keep the current roundel while making some slight tweaks.